Pamplin Media Group - Jennifer Currin Gutridge, CFP® celebrates 25 years with McGee Wealth Management, Inc.
Jennifer Currin Gutridge, CFP® celebrates 25 years with McGee Wealth Management, Inc.
Jennifer Currin Gutridge, CFP® began her financial planning career in 1992 while attending Portland State University. Since then, she has obtained her Certified Financial Planning Professional designation and years of experience with financial problem solving around clients' short and long-term goals. She helps clients build, manage, and preserve their financial well-being. She serves a number of professionals from local companies such as Nike, Columbia Sportswear, and Adidas and advises on a multi-million dollar county pension plan. She shares a lot in common with many of her clients, who are busy professionals raising families, planning for the future, and enjoying active lifestyles. Jennifer has earned a reputation for providing straightforward answers to clients' financial planning questions. Jennifer exemplifies integrity - she says it's important to do what you say you will do; be the person people count on. In addition to deep commitment to her clients and her teammates, she also contributes to the greater community through service to various organizations. She is currently involved with the Go Red for Women initiative to improve heart health among women. In the last several years, there has been new information about biological differences between men and women, creating a need for special attention to women-specific health issues. Of that information, the awareness that women experience symptoms of heart disease much differently than men is critical in recognizing and treating these conditions in women. Jennifer feels especially connected to this cause; members of her family have been challenged with heart conditions. Jennifer's core values – trust, hard work, and follow-through can be attributed to her upbringing on a fifth-generation cattle ranch in eastern Oregon. The Currin Family, including Jennifer, was the first family to ever be inducted into the Pendleton Roundup and Happy Canyon Hall of Fame. She now enjoys raising her own family in Wilsonville, Oregon, where her two children, ages 12 and 16, have learned these values through sportsmanship – both play on school and club teams. She and her husband, Shane, enjoy their riverfront property – say hello if you see them out on their boat or at a game. 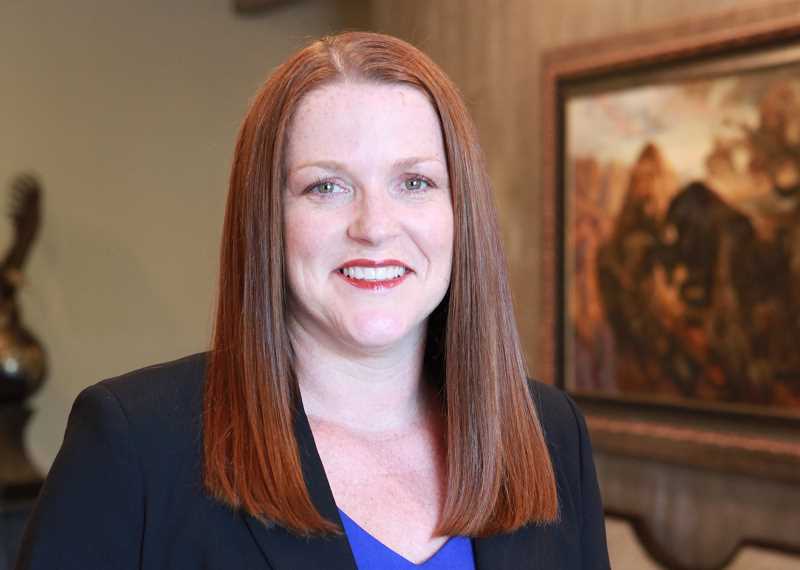 Jennifer Currin Gutridge is the Executive Vice President of McGee Wealth Management, Inc, offering securities through Raymond James Financial Services, Inc. Member FINRA/SIPC. The information has been obtained from sources considered to be reliable, but we do not guarantee that the foregoing material is accurate or complete. Any opinions are those of McGee Wealth Management and not necessarily those of Raymond James. Investment advisory services are offered through McGee Wealth Management. McGee Wealth Management is not a registered broker/dealer and is independent of Raymond James Financial Services.